There is only one thing better then betting on the horses online and that is betting on them from your favourite mobile device. Mobile technology has already altered our lives extensively so why not add mobile betting to the list of benefits as well. Our lives today tend to be busy and hectic to the point it seems we cannot find time to set around our desktop or laptop computer to visit our favourite bookmaker. Mobile betting apps make it feasible for punters to get in on all the betting action where ever they happen to be. Imagine the ease of placing your wager from your iPhone, iPad, Android or Smartphone. The opportunity is just a click away. How to open a mobile betting account? 1. Visit the bookmaker of choice from your mobile device. Choose mobile betting and the app that applies to your mobile device. 3. Fill out the information and wait for a confirmation number. 4. Deposit funds into your account using one of the methods offered by that bookmaker. 1. Log in to your bookmaker. 2. Choose the horse racing sportsbook. 3. Choose the bet type. 7. Keep the confirmation number you receive. 8. You have just completed your first bet over the mobile phone. 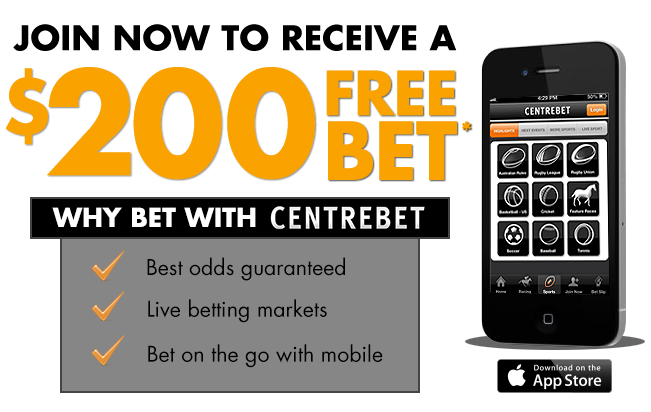 Centrebet – Mobile betting apps for your iPhone, iPad, Android and Smartphone. Sportsbet – Mobile betting apps for iPhones, iPads, Androids and Smartphones. Bet365 – Mobile betting apps for iPhones, iPads, Androids and Smartphones. Note: The iPhone and iPad apps will be downloaded from the App Store. Betting on horse racing from your favourite mobile device can be just as easy as it is from your computer or laptop. The apps are easily navigated, they are quick and they are reliable. Most bookmakers offer free bets or bonuses for new members. You can find out more about these free bets here. Okay Aussie Punters you are just a app download away from making your next wager on your mobile device. 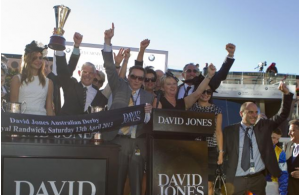 Visit us for all the latest racing information designed to make you a more competitive punter.